Again Dr. Jones has challenged progressive Christian bloggers to write a response to a question. This time he requests responses to "What the Incarnation tells us about God, human beings, creation, the Cosmos, the End Times, Heaven, Hell, salvation, or anything else...from a Progressive Christian perspective." And so, I submit to you a short blog reminder that when it comes to understanding the importance of the Incarnation, Marshal Mcluhan is right: The medium is the message. I am not a scholar of Mcluhan by any stretch, so I could be missing the mark on this, but Mcluhan it is my understanding that Mcluhan wants us to understand that all mediums have messages laced within themselves. Mediums are not neutral in their dissemination of content, mediums matter. We generally think the content of the message is more important than the medium we choose. This seems to make sense. Preachers gather in groups and talk about what they will preach. They are looking looking for the teachings that the Bible is giving witness to. Preachers generally don't talk about the messages that the medium of the spoken word carries with it. But if you think about it, mediums do carry messages that are very powerful. 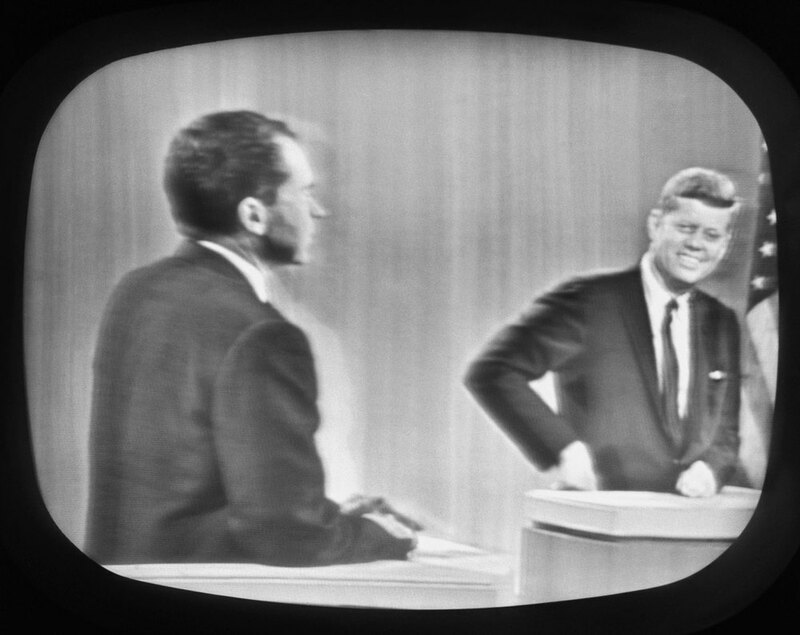 For instance, when Kennedy and Nixon debated it is well documented that those who heard the debate on the radio thought Nixon won. But those who watched the debate on the new medium of television thought Kennedy won. If the mediums are neutral, then all that should have mattered was the content of the debate. But The mediums influenced the content of the debate to the point that your choice of medium influenced your decision of who won the debate! God has chosen many mediums to share content: from the stone tablets to a burning bush to a talking donkey. These mediums are so powerful that we get the message God is saying just by the selection of the medium. You are a smart reader, you can add your own to this simplistic list. There is a reason that Christians identify that the greatest revelation of God is Jesus*. Christians understand that the medium of God becoming human says something deeply about God's love for humans and the world. The sermon on the mount, while excellent, is just stenciling when we look at the message found in the medium of the incarnation. *It is worth pointing out that if we feel that the Bible is the greatest revelation of God, then we are elevating the medium of the Bible over the medium of the incarnation. Frankly, I think that is called idolatry.